How would you like to be a beta tester for the Oppo Find 5? Not only do you get to test out and use one of the most beastly Android smartphones helping Oppo work out the bugs, you also get to keep the phone. 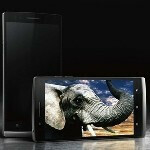 The Oppo Find 5 has a 5 inch screen with 1080p resolution and a 441 pixel density, and also features a quad-core processor. The whole phone is wrapped up in a case just 6.65mm thin. The contest runs from today through January 13th. Four winners will be selected from those who "like" the Oppo Facebook site, and then share the original message from Oppo while adding a comment and @tagging it to three friends. 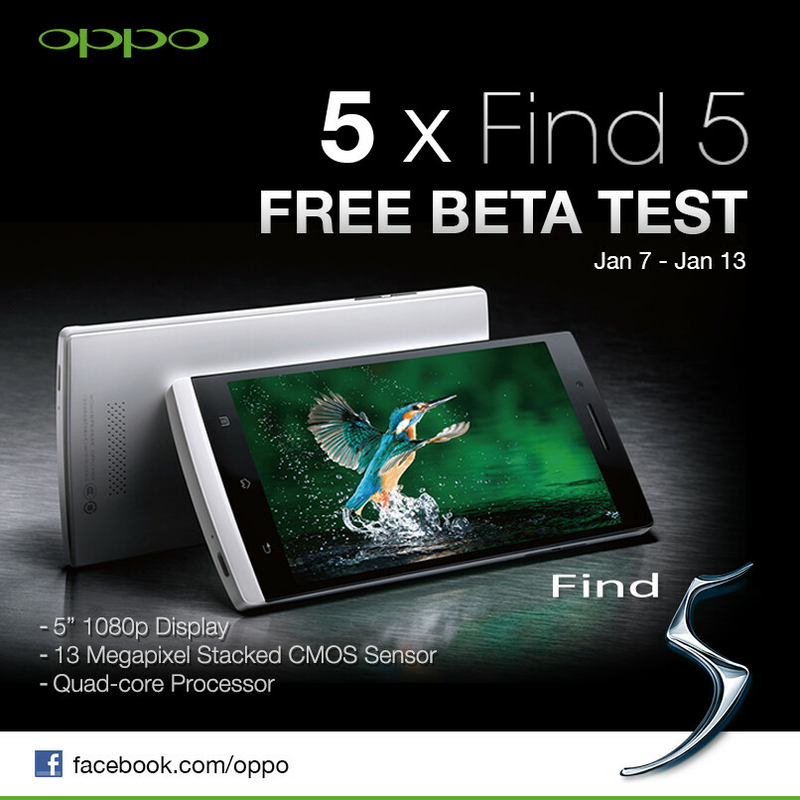 One winner will be selected from Oppo forums where you need to leave at least five posts explaining why you want to beta test the Oppo Find 5. One lucky winner will be randomly selected from the forum. If you want to grab a free OppoFind 5 and at the same time, have a hand in beta testing the international model of the phone, you can head to the sourcelink to start the journey.